Backcountry hut-to-hut trail running traverse. "The Mountains Shall Bring Peace To the People"
Do you find sanctuary on the wild western mountain trails? Do you love adventure with a touch of luxury? 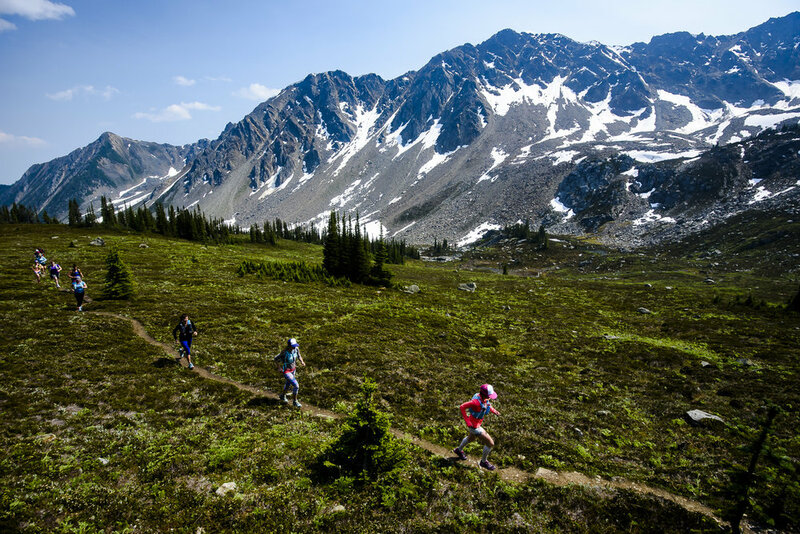 Join us for a 5-day, helicopter assisted, point-to-point trail running traverse of the Esplanade mountain range in beautiful BC. This great adventure starts at the north end of the Esplande Range at the Golden Alpine Holiday's Vista (July) or Sentry (August) Lodge. We will traverse the range, staying at the different lodges until we reach Sunrise Lodge at the south end of the range. The lodges are about 10 km apart by trail but we can extend the runs on any day to suit the group. Check out the GAH map here. Sunday: 4:00 pm meet in Golden & sign waivers. Friday: Sunrise run and fly out. The terrain in the Esplanade is a mix of glorious single track and alpine meadows. Each days running will be a mix of trail and off-trail running as we adventure across the range. The biggest challenge is most certainly the elevation (we rarely dip below 2000m) and additional gear you’ll be carrying. No matter your ability, expect to be a bit slower and hike a few more of the climbs to accommodate the lack of oxygen and additional weight. 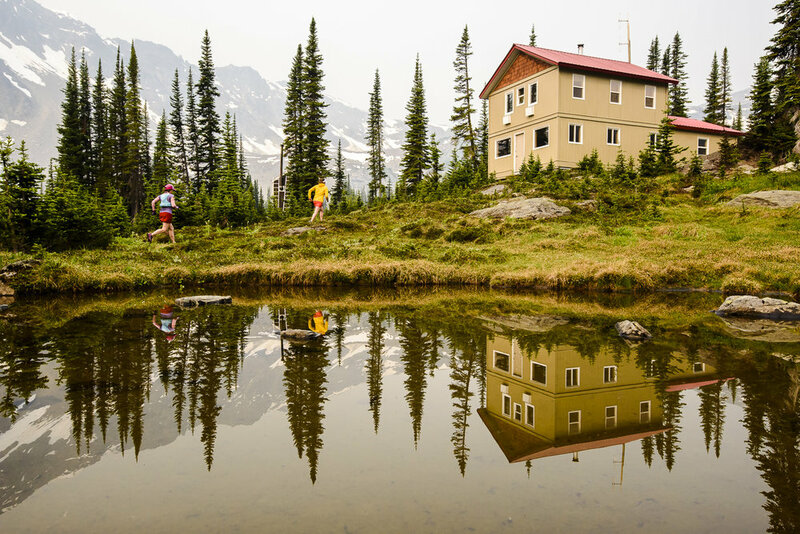 We have designed the August retreats to be suited to "get after it" runners. If you are comfortably running trail half marathons and want to take your terrain to the next level, this is for you. The distances will be longer each day and you'll be with a more advanced group of runners. We will make distance objectives daily as a group. If you're a "here for the experience" trail runner, consider our July trips! If you’re comfortable running 10K, this is the perfect adventure for you. 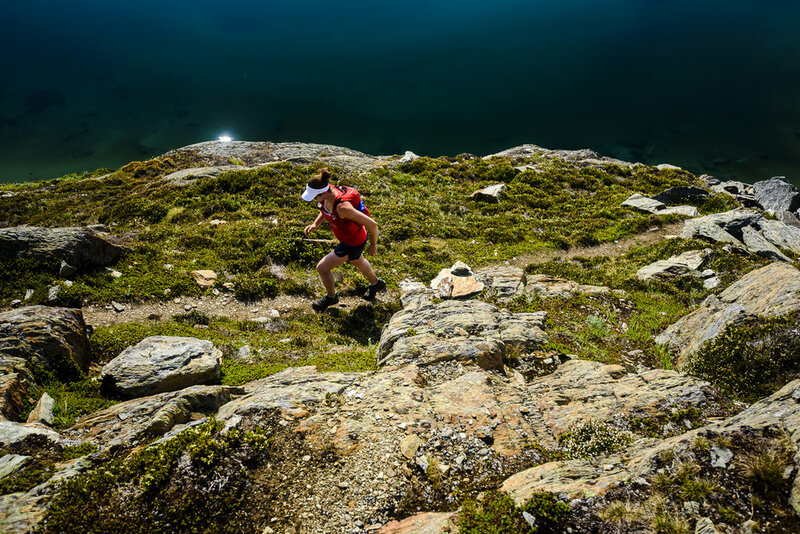 Perhaps you’re new to backcountry running, or want to challenge yourself to take your trail running to new heights (literally!). We'll go a bit slower, shorter and the terrain will be more friendly. Do you have a group of 10? We can customize a trip for you based on dates and abilities. Click the button below to email us. We will sleep each night at the beautiful backcountry lodges operated by Golden Alpine Holidays. Expect comfortable beds with all bedding provided. Sentry Lodge (August trips only) has micro-hydro power and wifi. The rest of the lodges are off the grid and cell service is only available on the surrounding mountain ridges. 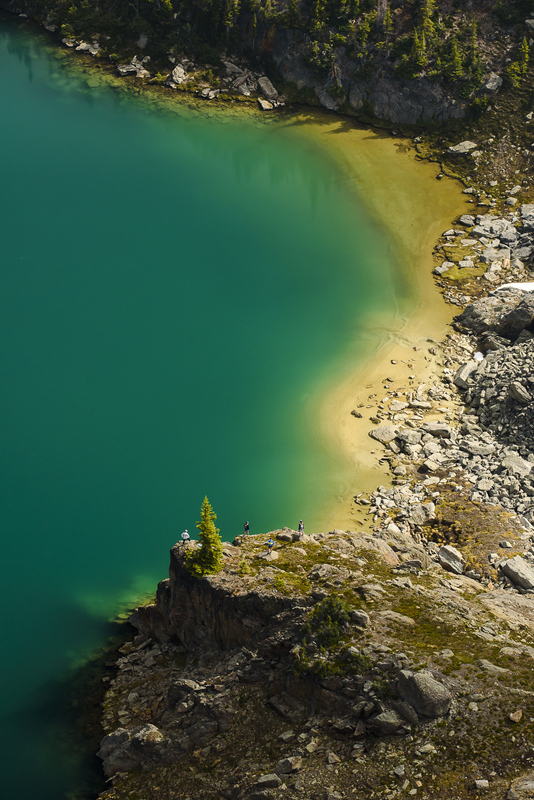 There is no indoor plumbing (outhouse glamour coming your way) but there are lovely saunas, alpine lakes, and a sensitive grey-water system to fill in some of the blanks. Travelling from the north end of the range to the south, we'll sleep sequentially in the (Sentry, August only), Vista, Meadow and Sunrise lodges (2 nights at Sunrise in July). 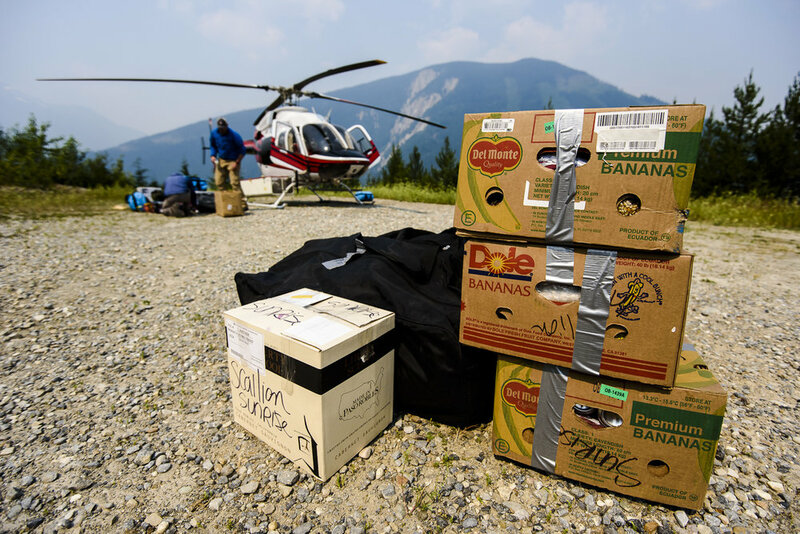 A helicopter will be our porter to and from the lodges and will also drop our food and gear stashes at each lodge along the way. 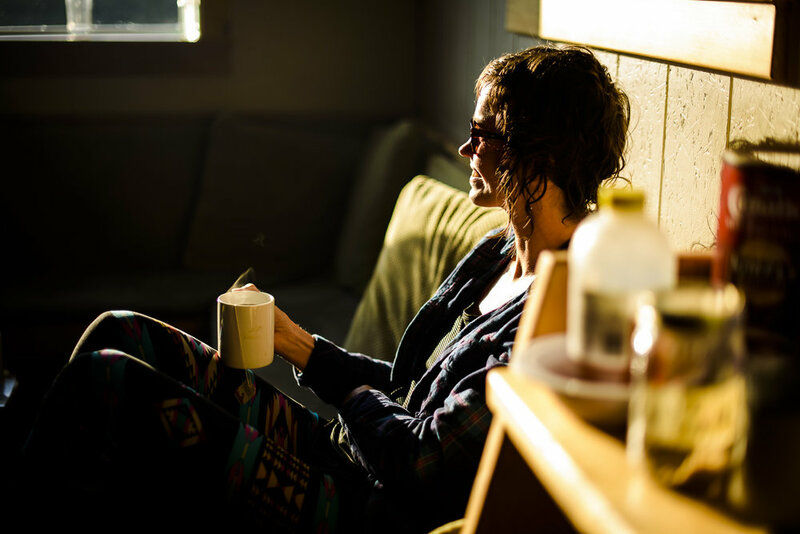 You will have to carry some supplies and snacks with you each day of running, but you can leave much of what you need (clean clothes) in our gear and food stash for each lodge. We will provide you with appropriately sized gear bags for each lodge to aid your packing. 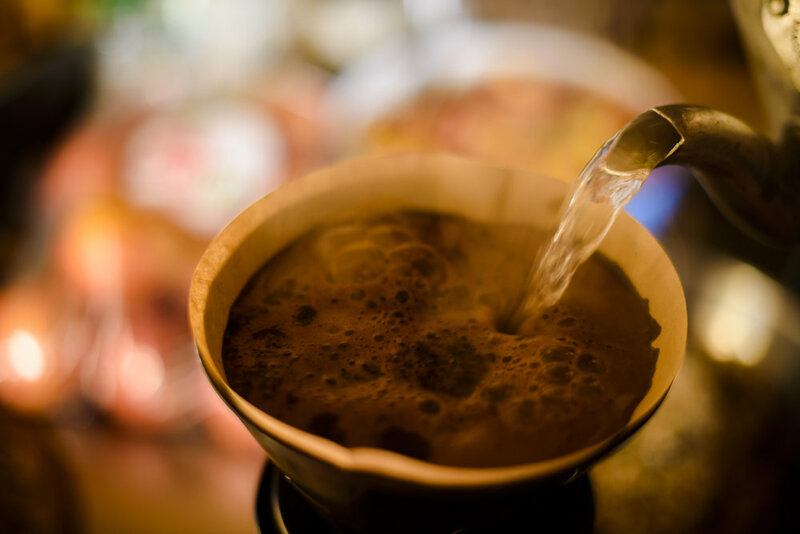 Each lodge has a full (backcountry) kitchen so expect delicious and nutritious mountain gourmet to accommodate every dietary need. Experienced leaders with minimum 80-hour wilderness first responder first aid and multiple trips across the Esplanade range. Registration varies by trip but is between $2100 and $2750 + gst. A deposit of $1000+gst is required to reserve your spot and your final payment is due by April 30, 2019.